If you’re looking to stand out from the crowd as you pound the lanes on a Saturday morning then the arrival of Retro Two jerseys in the UK will be music to your ears. Retro Two jerseys are a far-cry from the block colour jerseys produced by the big-name cycling brands. 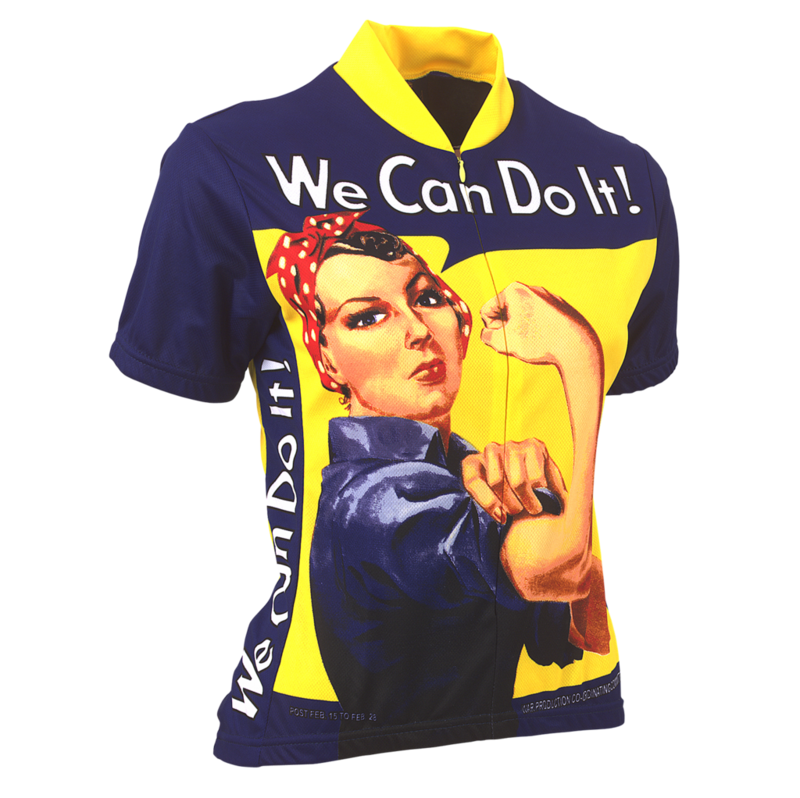 The American company have made a name for themselves across the pond by taking licensed iconic artwork and printing it onto high-quality cycling jerseys. Designs range from the NASA logo and the famous “We Can Do It!” poster from WW2 to more cycling-specific images such as the Alcyon Paris-Roubaix jersey, or the eye-catching red and green of the Sunday in Hell jersey inspired by the 1976 film of the same name. All of the Retro Two jerseys are available for both men and women with cuts adjusted approproately, and come with three rear pockets as well as a full-length hidden YKK zipper to make sure those designs can be seen in all their glory. Despite the vintage designs, Retro Two promise that their jerseys don’t deliver out-dated performance with mesh side panels for maximum breathability and moisture-wicking fabric to keep you dry as you work up a sweat next summer. The Retro Two jerseys are priced at £59.99 and are available to buy in the UK through Stolen Goat.